On Monday, December 3rd, Mike Kiley, addressed Main Street Student-Leaders regarding Optimism. 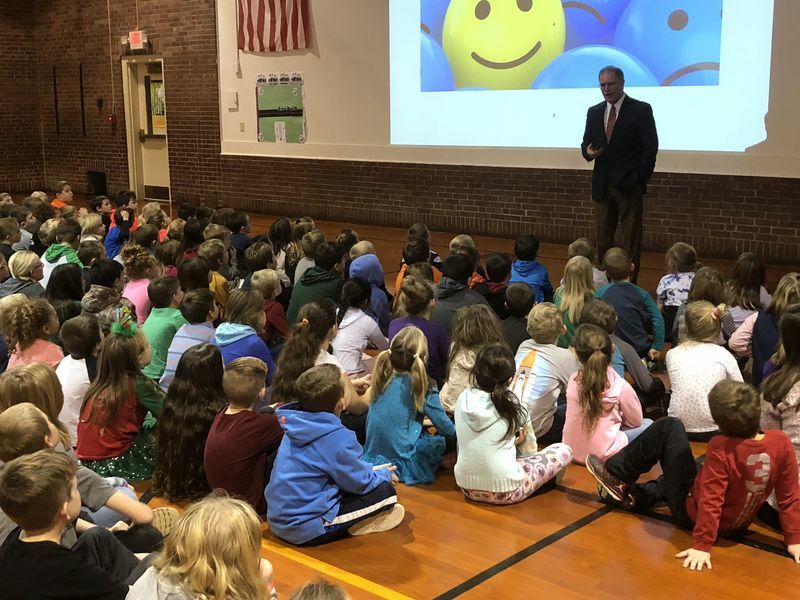 Mr. Kiley began with an introduction of himself & his connection to Shelbyville serving different roles in the judicial system. His wife and children are products of Shelbyville & sat in this same gym. 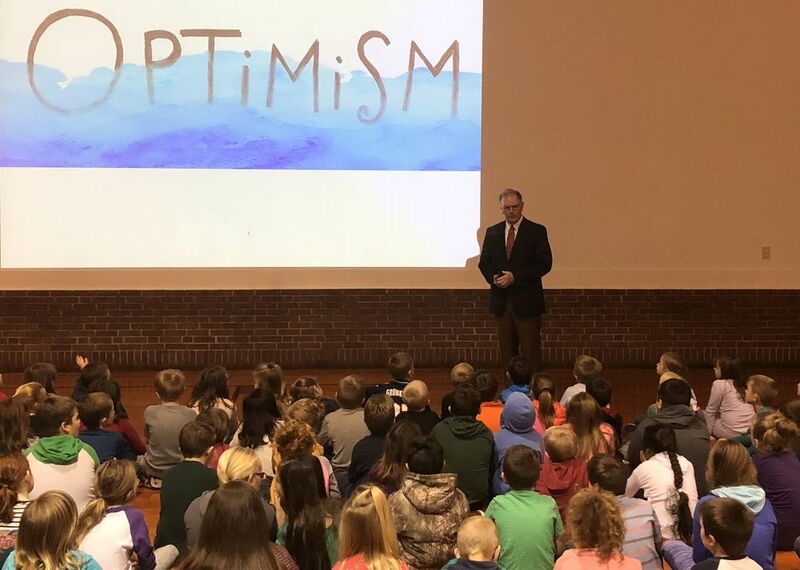 Mike introduced optimism with some examples and a visual. This lead to some characteristics and synonyms. This list included words such as: hopeful, positive & confident. By contrast, pessimism is a more hopeless and victim outlook and attitude. Mr. Kiley discussed a familiar story to illustrate his claims with, “The Little Engine that Could” by Watty Piper. He summarized the story & lead discussion of attitude connection to output. “I think I can; I think I can; I think I can.” He capitalized on Henry Fords’ quote, “Whether you think you can, or you think you can’t, you’re right.” He used a few more visuals with stories and reflection to communicate the value for the students as individuals & collectively in any group such as a team or family. Mr. Kiley then used a few short video clips custom for this purpose. Travis Kiley, Mike’s grandson, and Hank Frederick are both current student-leaders at Moulton Middle School. These two portrayed similar circumstances with different attitudes such as the feeling of difficulties making friendships & performance on assessments, artwork or athletics. 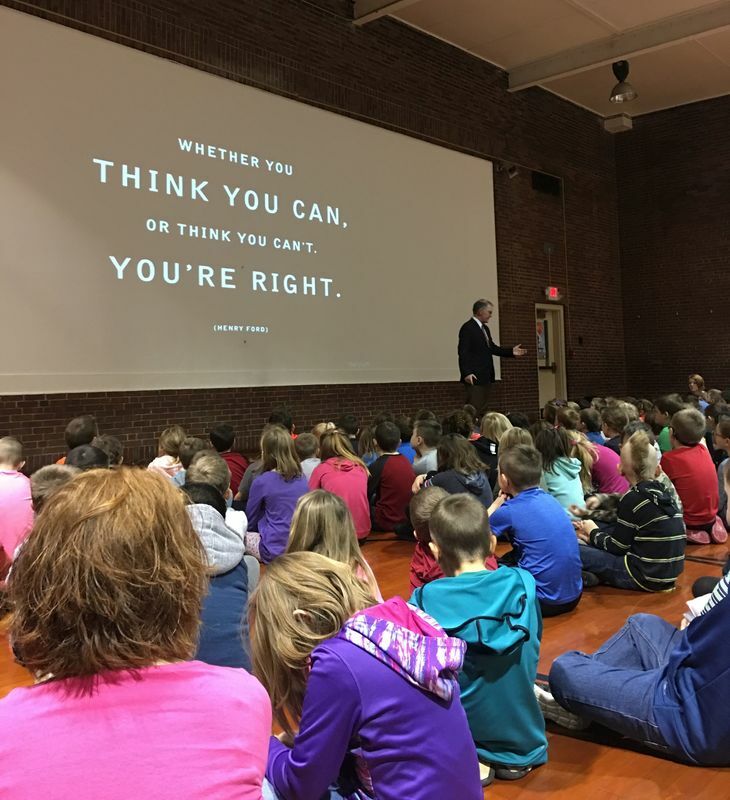 We get to “choose our attitude.” Mr. Kiley admitted that this is not as easy especially when we are tested in our lives. However, there are a few habits we can develop to help such as exercise, being kind and grateful & positive self-talk. How we respond to life is a choice; choose to be optimistic.